The only thing Pipper loves more than food, is her friends. She loves gathering them together to cook and to socialize. 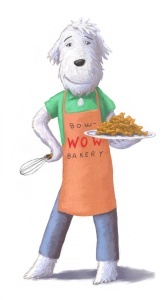 Pipper also has a large blog following, craving for her latest recipes and intrigued by her many adventures. One sleepless night, she feels she has run out of things to share on her blog. She has a little “cooking-inspiration block.” After meeting with her friends, they come up with a plan for her to seek out the secret ingredient to what makes a snack so special. Her journey leads her to the Great Pyramids of Egypt, the cafes of Paris, the Orient-Express across Europe, a famous deli in New York, and the Machu Picchu in South America. Pipper updates her blog followers on her progress as well as shares with them the recipes and foods she discovers along the way. A sub-plot involves a greedy and unethical character who hires someone to trail Pipper in hopes of stealing and using her discovery for his own financial benefit. Fortunately, her friends find out and warn her. Everything comes together for a satisfying ending. 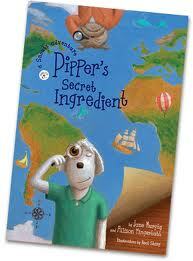 The layout of Pipper’s Secret Ingredient is geared toward reluctant and transitional readers. While it is a chapter book, the pages have the smooth glossy feel of a picture book. There are colorful illustrations throughout, ranging from small ones on a page of text to full one- and two-page spreads. This feature helps break up the text, which many readers need. Also, the text is spaced well. The lines have a slight space between them with bigger gaps between paragraphs. One of my children gets overwhelmed with too many words (especially close together) on a page, so I really appreciate this format. My favorite visual feature is the blog entry pages that begin each chapter. The pages look like blogs snapshot with an entry through Pipper’s perspective as well as features that reveal her past posts, recipe titles, and follower comments (called Bark Backs). All of these aspects make it visually appealing. I wish there were more of these transitional type readers. The characters are all dogs, but their character qualities and actions are human. The dog motif is used to create some fun puns and word play. The narrative is part adventure story and part quest. Pipper visits many fascinating areas, which is ideal for extension activities related to geography (locating areas on a map, learning about the cultures, trying ethnic foods). There is mystery and excitement along the way. She meets inspirational people who each teach her something about life and cooking. One of the best parts is the focus on good character. Pipper and her friends are encouraging, loyal, and helpful. 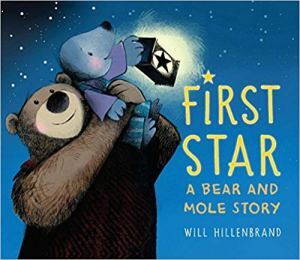 While this book has some definite features geared for children and will likely appeal to many, I find the child perspective is lacking. All the characters are grown-ups. They have adult jobs. They go on adult quests. They think and act like adults. I recommend Pipper's Secret Ingredient for ages 8 and up. The layout is perfect of reluctant readers (especially of chapter books). The exciting adventures and loyal friendships are sure to appeal to many. For more information on this book, check out the website. The publisher has included an activity guide with lots of extension ideas for learning and fun! Disclaimer: As per FTC guidelines, I received a copy of this book from the publisher or author in exchange for my honest review. I received no monetary compensation. All opinions expressed here are mine and mine alone.